​This Dutch tea caddy is hallmarked on the bottom and in great antique condition. The design is ornate and well made. Silverplate on copper. 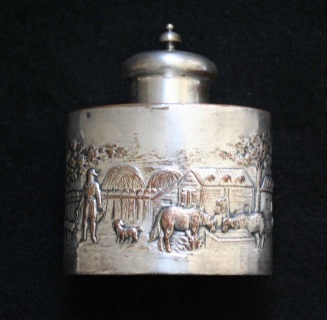 It is about 3 5/8'' wide x 4 1/2'' tall including the lid. This would make a great gift or a great addition to your collection. Please enlarge the images for its condition. ​Signed and entitled "The Librarian" These are the earlier version with the black Onyx bottoms, in great condition, these very rare bookends are for the serious collector. The JB Hirsch story begins in 1907 with the New York Art Bronze Works in Manhattan’s lower east side. The founder of the company, Romanian metalsmith, Joseph B. Hirsch, began importing pieces directly from French foundries. Around that period, foundries with close ties to the talented artists and sculptors of the Ecole des Beaux Arts in Paris, began producing their now famous works in “French Bronze.” Some of the finest talent throughout Europe trained at the Ecole des Beaux Arts, exhibiting their works at the Salon de Artistes and other great Salons in Paris, the center of the art world. ​Ernst Barlach "The Singing Man" c.1928 (2 January 1870 – 24 October 1938) was a German expressionist sculptor, printmaker and writer. Although he was a supporter of the war in the years leading to World War I, his participation in the war made him change his position, and he is mostly known for his sculptures protesting against the war. This created many conflicts during the rise of the Nazi Party, when most of his works were confiscated as degenerate art. 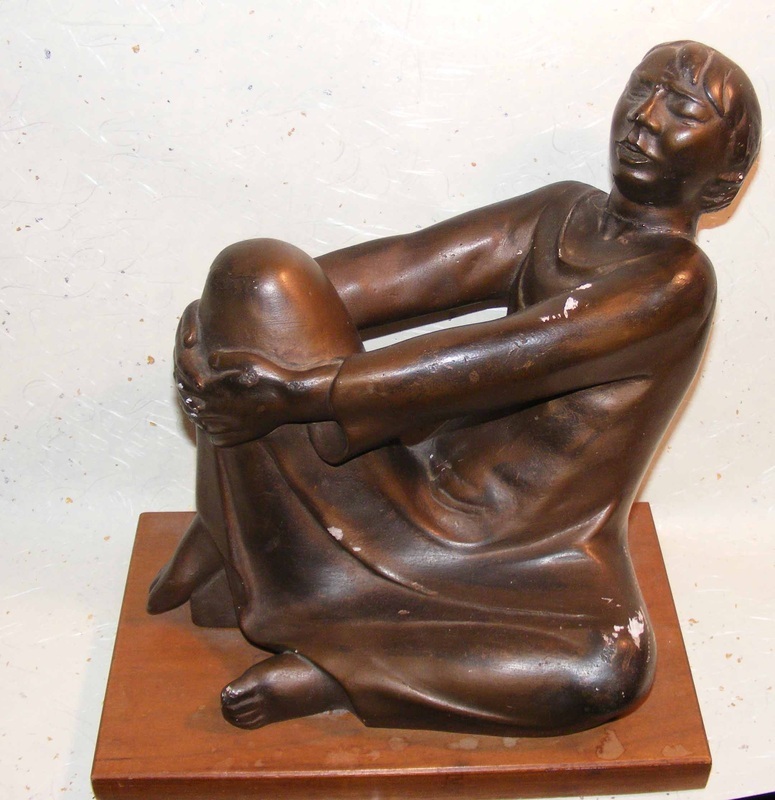 This piece has some damage, the head has been broken and re attached, and there are scratches in the base, the price reflects this damage.